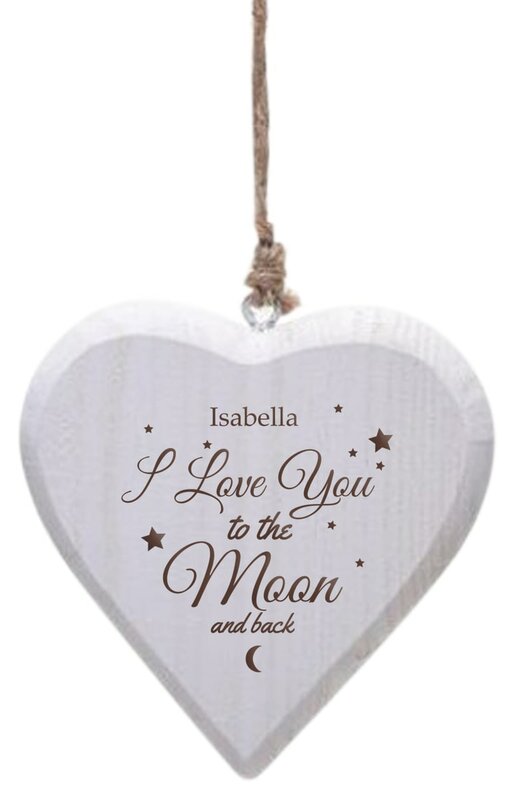 Their name is included within the design on the front of this loving heart-shaped wooden hanging plaque, showing them you love them to the moon and back. Their name is included within the design on the front of this loving trinket box, showing them you love them to the moon and back. Their name is included within the design on the front of this loving heart-shaped bauble, showing them you love them to the moon and back.